Unlike helium or hot air balloons, sailplanes are heavier than air. Unlike airplanes, they have no engine. And unlike birds, they cannot flap their wings. Sure, sailplanes are very sleek and quite efficient in cutting through the sky but still: they must always descend relative to the air surrounding them. So how then is it possible to climb in a sailplane? 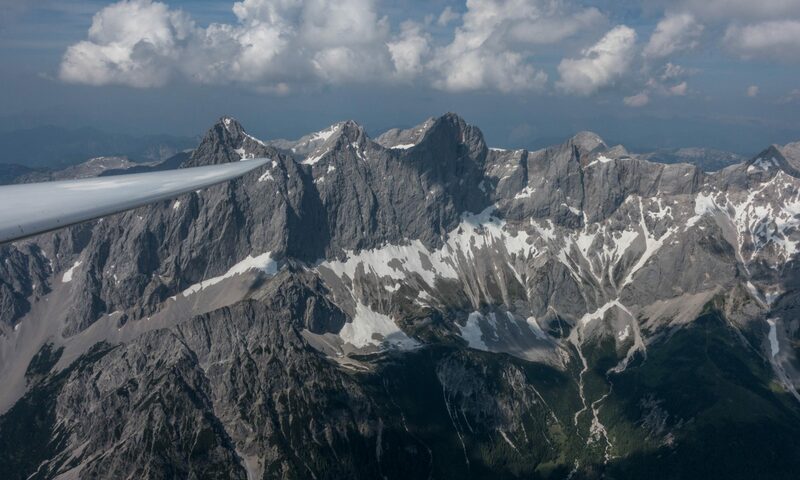 How can pilots cover hundreds of miles across mountains, plains, and valleys. On this page I intend to post explanations and links that illustrate how sailplanes and their pilots overcome the limitations imposed by gravity and do what they love: soar.